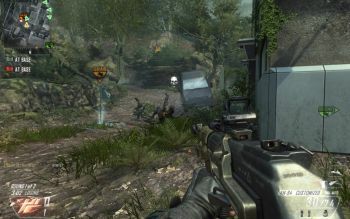 There isn't much new on the Call of Duty front, a fact that shouldn't come as a surprise. Black Ops 2 relies on the same old bag of tricks as Black Ops and every other game in the CoD franchise. Well, at least you know exactly what to expect. The only "major" change is cosmetic: while earlier titles have dealt with the 2nd World War, the Cold War and an imaginary 3rd World War, a major part of Black Ops 2 takes place in the near future. I always considered the Black Ops single-player campaign inferior to that of the Modern Warfare series: there was just something appealing about Modern Warfare's laughably naive scenario of Russians attacking both the United States and Europe. 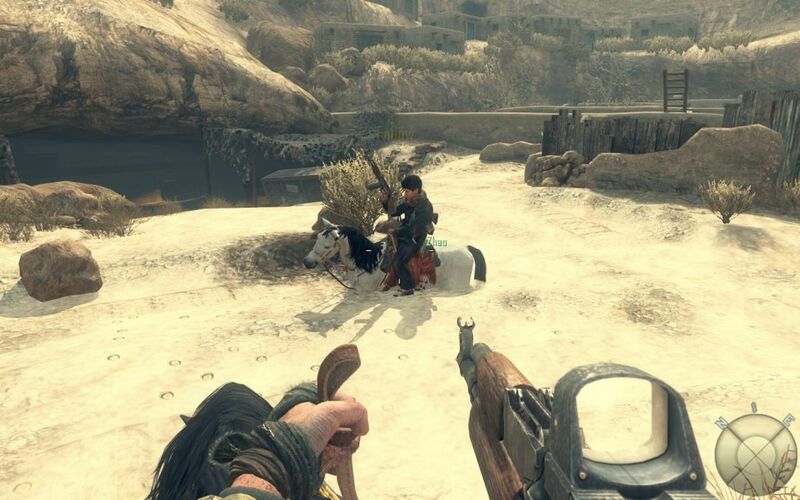 Black Ops 2 isn't much better. But like Modern Warfare, Black Ops 2 also focuses on a single bad guy in the midst of all the global fighting. You get to play through some Cold War era chapters but most of the focus is on the future. Me being bad with memorizing names pretty much meant that I lost track of what was going on on several occasions. Combine that with the scenario changing from Cold War to the future every now and then and I found myself confused by what is essentially an utterly simplistic game. Besides the story there isn't much interesting going on. Gameplay mechanics are the same as before but I did get the impression that I was given, in general, less control than in MW2 or MW3. But there are things that stand out such as alternative endings (the ending I got was probably the worst of them) and optional missions where you get to control several units in an RTS manner. (These missions are ruined by terrible NPC ai though.) Graphics are pretty okay; it's always cool to catch all kinds of little things the developers have had to come up with to spice up the game's looks even though it's supposed to run on the same old technology as the very first Modern Warfare game. The multiplayer mode is the same old for the most part as well. 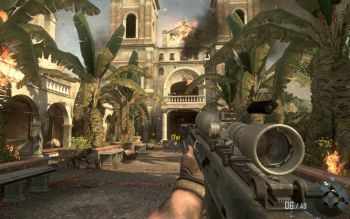 Like with single-player, Modern Warfare still beats Black Ops. Maybe it's the map layout or something but I found myself getting killed more often as a result of random factors than in Modern Warfare 2 or 3. But that's why these games are so appealing to many people: high weapon damage, interconnected layout and crappy respawns ensure that even the worst players can get a taste of the killing. (On top of that, reaction time counts for more than tactics, making the game ideal for kids.) What's positive is that there's a whole bunch of game modes all the way from Free For All to Capture the Flag and more recent modes such as Gungame (get kills to earn better weapons) and Sharpshooter (everyone's weapons are randomized every 45 seconds). There's also the new League Play mode where there are no weapon unlocks or ranks: everything is available from the get go. After a few placement rounds you're placed in a division where you get to play against people that match your skill level. Doing well means rising up in the ranks of your division. This was perhaps the best part of the multiplayer experience as you don't have to care about any of the unlocking and ranking up nonsense. 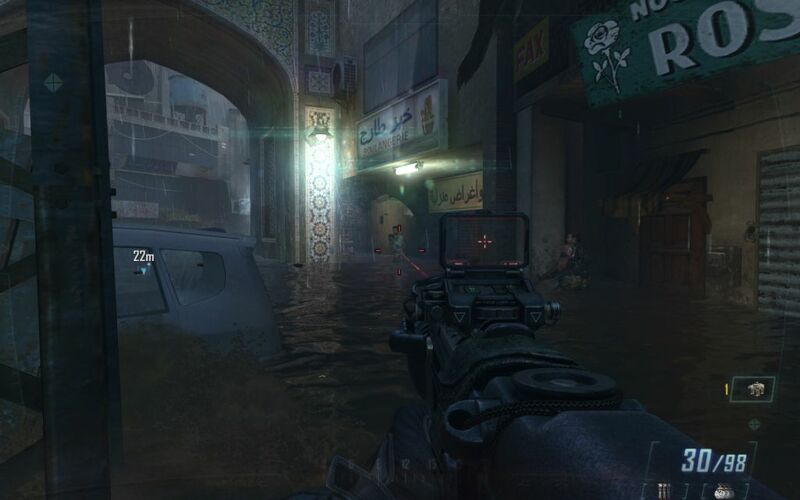 In addition to the single-player campaign and multiplayer, the Zombie mode makes a return. 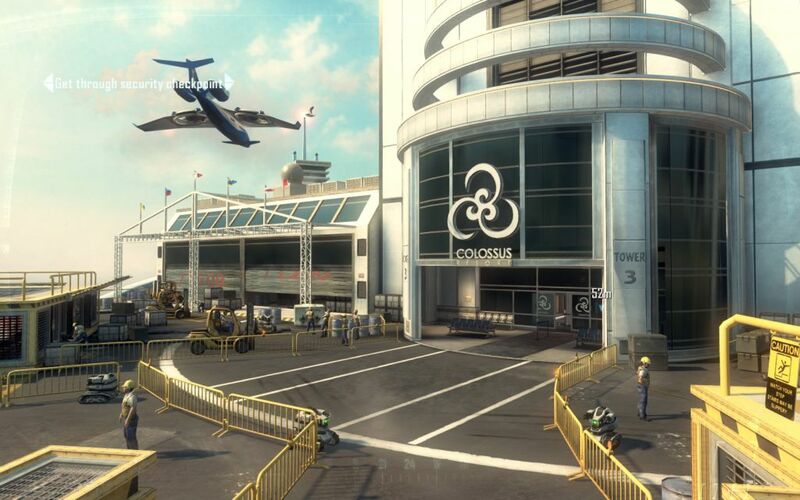 This is the co-op part of Black Ops 2 and it has nothing to do with the core game's setting. In the Tranzit mode a maximum of four players ride a bus from one zombie-infested location to another. At each location to bus stops, allowing the players to look around for better weapons, equipment and parts for the bus. 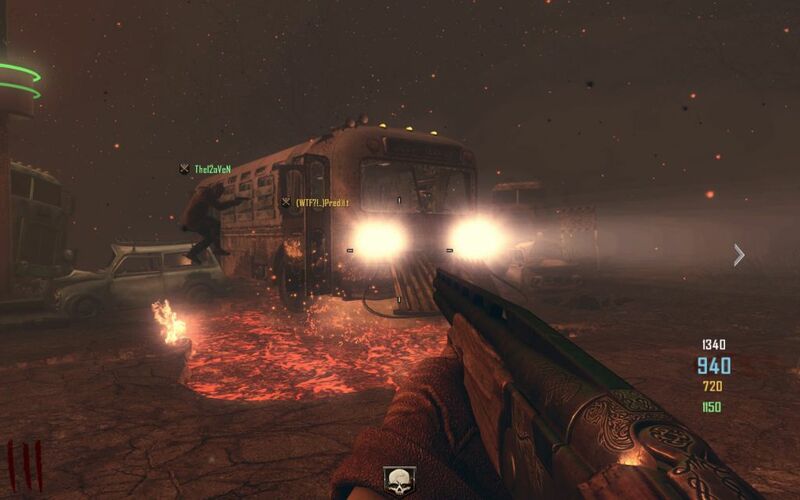 The bus leaves when it leaves, leaving clueless players behind as zombie waves intensify. (Travelling from one location to another on foot is usually a suicide and it takes many minutes for the bus to come back.) Eventually everyone dies. There are also two survival modes (Tranzit is essentially a survival mode too so that makes three): with teams or without. In general the Zombie mode is pretty fun and has a bunch of Easter Eggs and challenging achievements to unlock (some of which are hopeless to get with random public server players). Conclusion: It'd be hypocritical to claim that Black Ops 2 is a bad game as I've spent around 30 hours with the multiplayer mode, 10 hours with the single-player campaign and nearly that with the Zombie mode too. But now that the campaign is over and I've reached the maximum rank in multiplayer (you can do this a few times though), it's unlikely I'll be returning to this game any time soon, if ever. The game doesn't have much lasting appeal as both the single-player and multiplayer modes are utterly forgettable. The Zombie co-op is quite fun and has a moody setting but it's just way too short. Still, there are worse ways to spend your money.